An ambitious project. Maybe opening doors for futsal in Africa, if successful. Though not official and therefore not played under the CAF aegis, the imminent Africa Champions Futsal Cup could represent the first step in order to push forward the continental futsal, definitely in need of such an impulse for both national selections and club competitons. The Moroccan FA, in collaboration with the private company Afric Sports are setting up the first ever edition of the continental challenge between different FA's futsal champions. In the initial aim this should be an eight clubs challenge with the best teams of Morocco, Egypt, Angola, Equatorial Guinea, Libya, Mozambique, Zambia and Algeria. 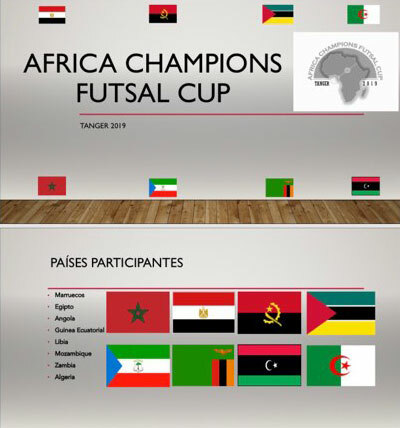 The challenge should be played in the Tangier sports hall between 29th April and 5th May, with tournament winners ideally taking part in the Intercontinental Futsal Cup set to take place in Bangkok (again, basically unofficial challenges run by private groups).